I have recently acquired three new foundations. As if I don’t own enough already I just had to have these too. First up we have Hourglass Illusion Hyaluronic Skin Tint($55). Hourglass claims this foundation will give you a smoother, firmer, more youthful appearance. I can only attest to the smoothness. I use one application all over my face. I enjoy using this with a brush more then my beauty blender. The beauty blender just doesn’t work well with the consistency. It is on the thicker side but, once on the face it doesn’t feel cakey. Out of all the foundations this is my least favorite. Since I have combo skin this works well in my t-zone but not so much on my cheeks where I am more dry. 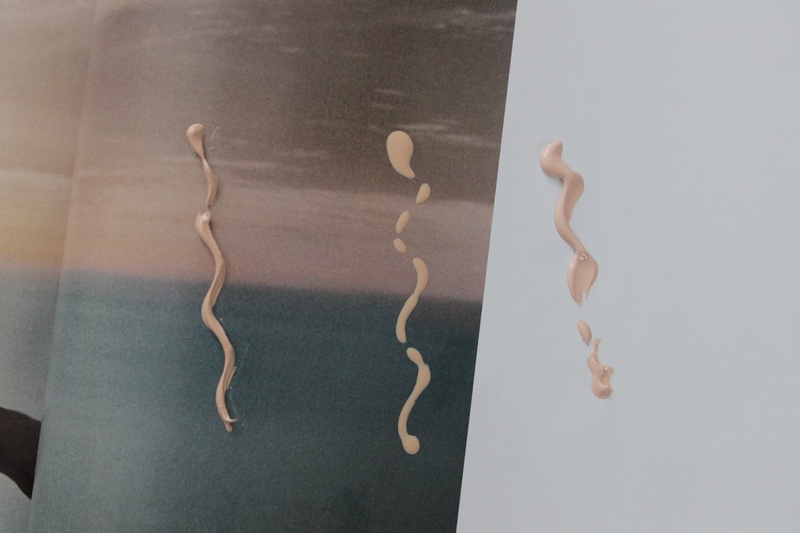 Next up we have Glossier Perfecting Skin Tint($26). This is one of the best light weight “foundations” I have tried. Its almost like you are wearing nothing. I dab a bit of this all over my face and work it in with my fingers. It gives good coverage and evens out my skin. You can build this up to give more of a medium coverage but I would say of you want to do that use a brush instead of your fingers. This is my number one out of all three. Lastly we have the Givenchy Teint Couture Balm($43). This is a pretty light weight foundation that gives a more medium coverage. Out of all the foundations this one smells the best. It kind of has that rose smell that Chanel foundations have but, it smells fresher. I love using my beauty blender with this. I use about one and half coats. I go back in and use another coat on my cheeks since they are more red. I enjoy this foundation but I can’t see myself reaching for this on a daily basis. 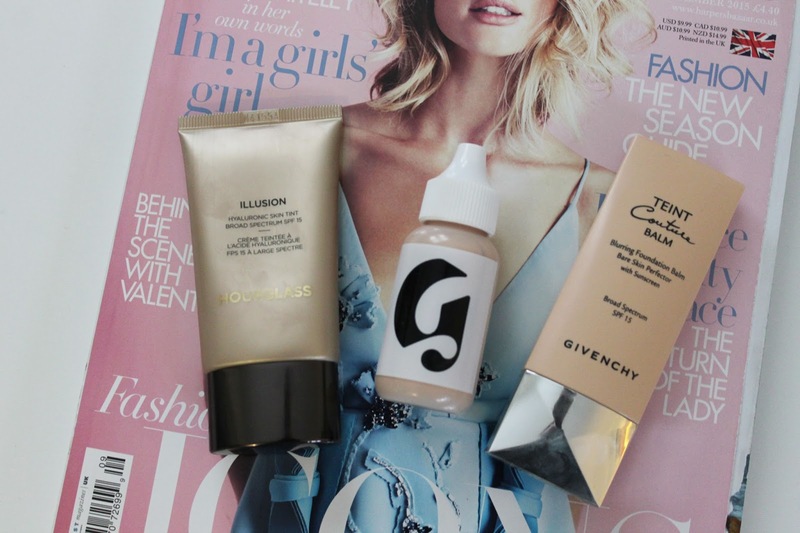 Have you tried these foundations ?? What are your favorites at the moment ? ?